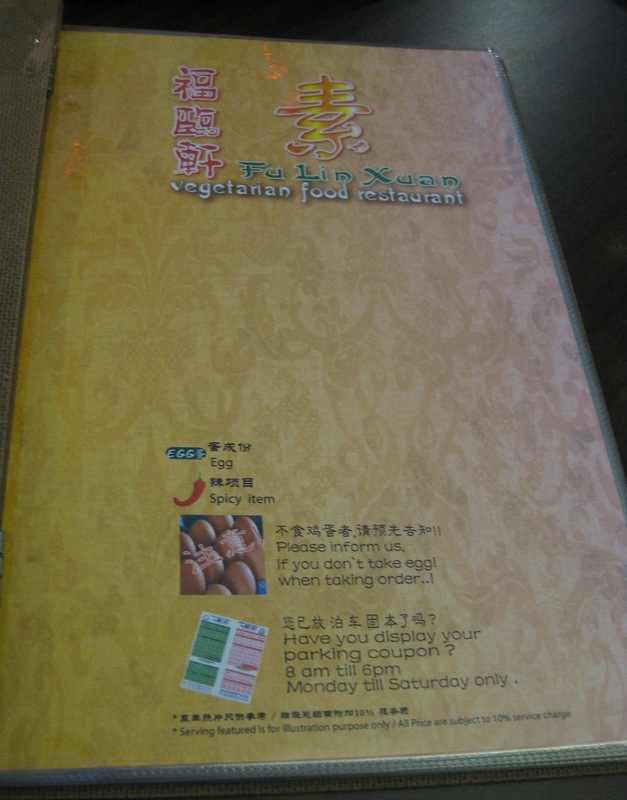 On the menu cover, two little icons – a red chillie and an oval shape with the word EGG in English and Chinese – are listed to guide customers in making chillie hot or egg-free choices. The line below reads, “Please inform us if you don’t take egg when you order,” so that the kitchen may be notified. 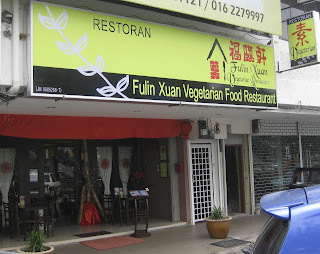 Four months ago when Fulin Xuan Vegetarian Food restaurant opened in a busy section of Taman Sentosa close to a bank, shops and clinics, regulars who used to patronise their original restaurant in Taman Sri Pelangi, started finding their way here. They are prepared to brave the heavy traffic and limited parking lots to come for satisfying meals served by Madam Tan Keok Yong, the cook in the original restaurant for the last four years. Tan, who has more than 20 years experience in cooking quality vegetarian cuisine recently started this restaurant with the help of her business partner, Patrick Lim. “Four of us in the former team from the first restaurant are here,” said Lim, who is also the Restaurant Manager, clarifying that this is not exactly a new restaurant. 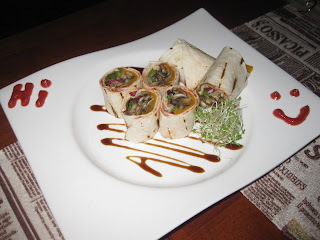 The menu remains virtually unchanged but the décor in the premises is certainly new. Lim said he does not like food smells clinging to his hair and clothes so the incense he burns inside the air-conditioned restaurant will absorb smells and ensures that diners leave smelling the way they entered! “There are different types of vegetarianism,” said Lim who went on to explain about the different vegans who abstain from onion, garlic, chives, mushrooms and animal products like eggs and dairy products. “That is why diners should let us know what they abstain from when they place their order,” he added. While most diners here are vegans for religious reasons, he said many non-vegans also choose to eat here simply because they want a change from their regular diet. 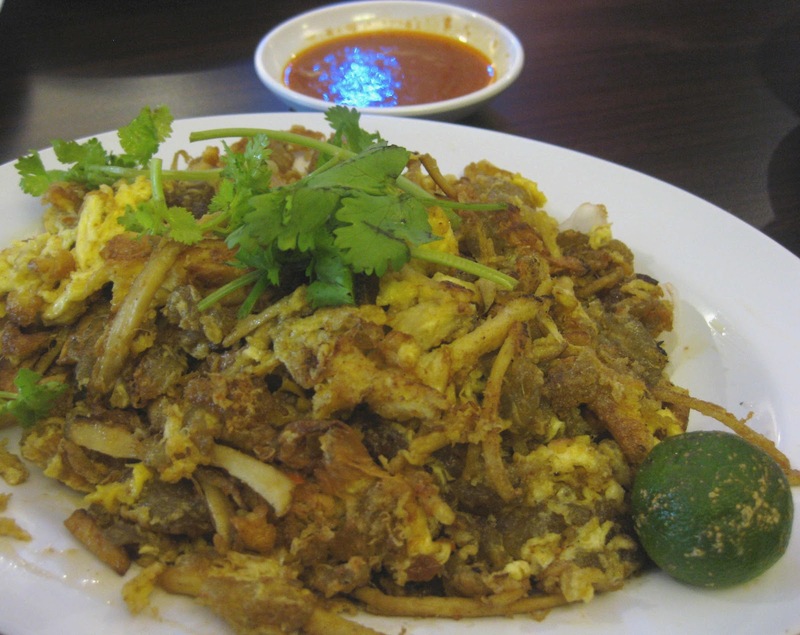 Lim said non-Chinese diners enjoy their curry dishes cooked with choices of mock meat like chicken, fish or mutton because it is prepared in an Indian-Chinese blend of recipe that does not use coconut milk or any dairy products. He warned that these curries taste a little spicier because no form of milk is used to dilute the chillie and spices in this dish. 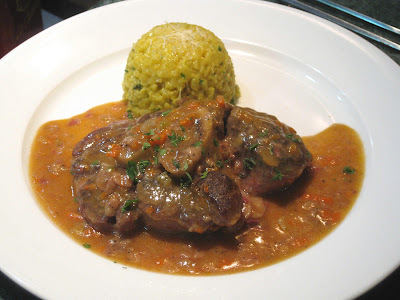 But this added zing is what diners want when they pick a curry from their menu! 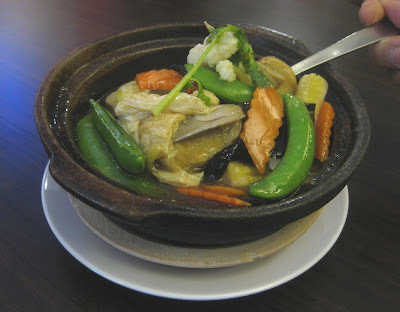 If you are into milder vegan food, the Lo Hon Chai served in a simmering claypot is a delicious mixed vegetable dish made with cauliflower florets, sliced carrots and baby corn, snow peas in their pods and dried tofu sheets. 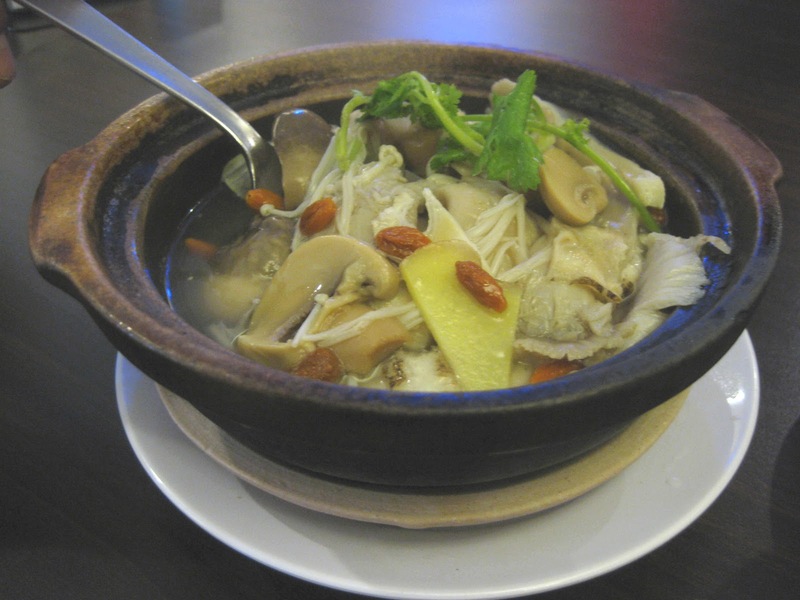 Another claypot recommendation is Four-Treasure Mushrooms – abalone, straw, button and enoki mushrooms – stewed in a rich herbal brew, rich with herby dong kwai and kay chi or wolfberry flavours. As its name suggests, the fried oyster omelet is created with whisked eggs fried with slivers of oyster mushrooms. For those who love mushrooms, the fragrance from the fried egg and the chewy fiber from the mushroom legs make this dish very agreeable. A side of chillie sauce is provided if you prefer a few drops for added flavour. Fried Mee Sua or wheat flour noodles, is a popular choice fragrantly stir-fried with lots of vegetables, mushroom and tofu slices and cute little curls of mock prawns. 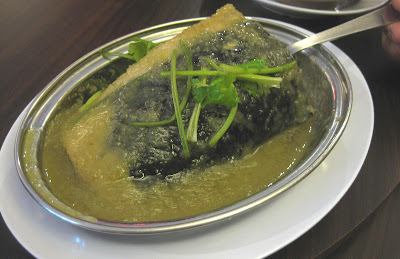 If you must have a “meat” dish, then try the steamed fish in minced ginger. The fish is created from flour and soybeans with an uncanny resemblance to fish meat texture and when eaten with generous amounts of spicy minced ginger, it almost tastes like real fish! 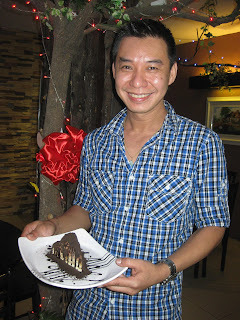 Lim is particular proud of their signature dessert – Mud Pie – an ice-cream cake made without eggs. This delightful chocolate-coffee-vanilla dessert is drizzled with their own chocolate syrup creation, which is not sickly sweet but just right, and a generous dusting of Oreo powder. This comes highly recommended because once you have tasted it you will agree that melting this cool concoction in your mouth is the best way to end your vegan meal! 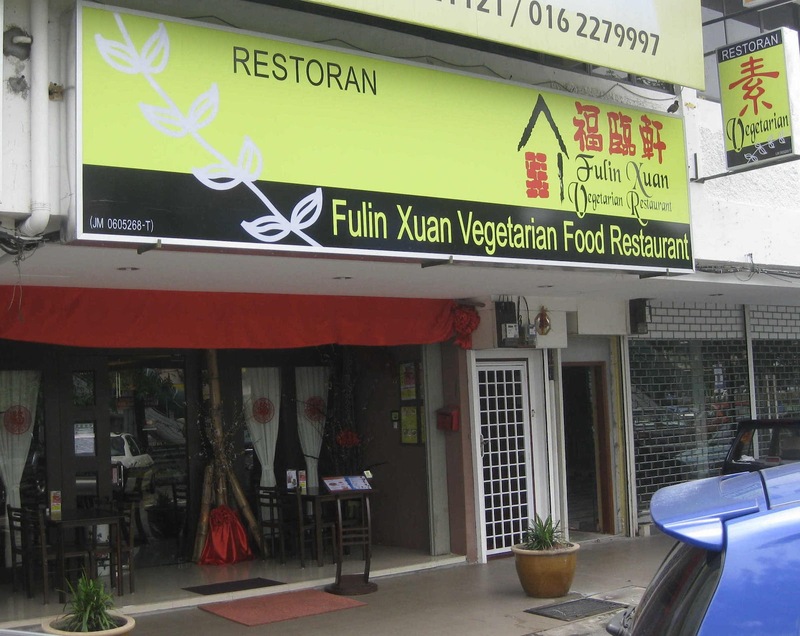 Fulin Xuan Vegetarian Food restaurant is at No. 54, Jalan Sulam, Taman Sentosa, Johor Baru. Open from 11am to 3pm and 5.30pm to 10pm on weekdays and throughout the day on Saturday, Sunday, the first and fifteenth day of lunar months and on religious special days. Tel/Fax No: 607 – 331 5319. In the course of my work, I’m very privileged to meet a number of exceptional women and as I admire them for their career or academic and social achievements, it never ceases to amaze me that these wonder women managed to pursue it while juggling another life as a daughter or daughter-in-law, sister, wife and mother. On March 8 International Women’s Day has been celebrated worldwide and our country has also organized events to show our love, respect and appreciation for women and their many achievements. As outstanding women and their achievements are being celebrated throughout the month of March, there are still thousands of heroines among us – unknown and unsung – who also deserve recognition. I recently saw a film, “I don’t know how she does it,” based on a novel about a successful finance executive with two young children portrayed by Sarah Jessica Parker and even as I laughed along with the comedy, I also empathized with her situation. Like her, career women with multi-faceted lives have honed their management skills into a fine art as they juggle their multiple roles daily at home and at work. With the help of supportive husbands, members of the extended family and hired helpers, these versatile women are able to run their family lives like well-oiled machinery. It is easy to admire strong women in politics, science, education and social work but homemakers also deserve praise and recognition for their multi-tasking skills. Looking back to the days of our mothers and grandmothers when the only career option they had was raising a family, they too did an admirable job as the backbone of the family and bringing up large families usually on a single income. 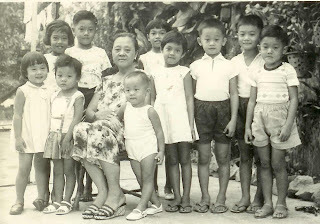 My grandma, Mak Cheng Hai, was the eldest daughter in her family and she stretched Ah Kong or grandfather’s salary to help her widowed mother and siblings while she cared for her own growing family through the challenges and struggles of World War Two. Grandma had an uncanny memory and was a fountain of information not only about the family but also on the way of life in Johor Baru. She told me at that time when only boys deserved to go to school, she was among the few girls who had the privilege of an education and also learnt English and played badminton. 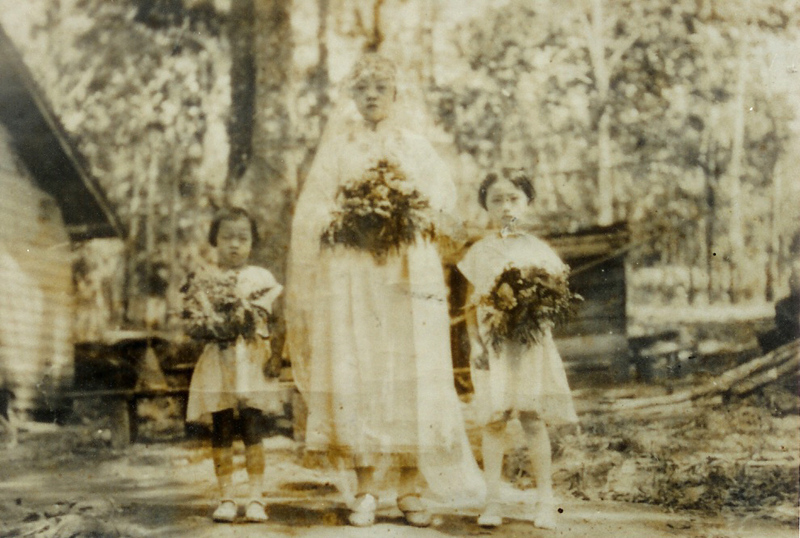 It was common to marry young so grandma was about 18 when was married and from an old photo, I saw that instead of wearing the traditional kwa or qipao for her wedding, grandma chose to wear a Western-style wedding gown! She had eleven children by normal birth and one son was born during World War Two. Many families had their share of horrendous experiences of hiding in the jungle to evade capture by marauding soldiers but grandma had the added stress of nursing her newborn, making sure the baby’s cries did not attract unwelcome attention. It was a nerve-racking life-and-death situation because if they were discovered, every life was at risk. 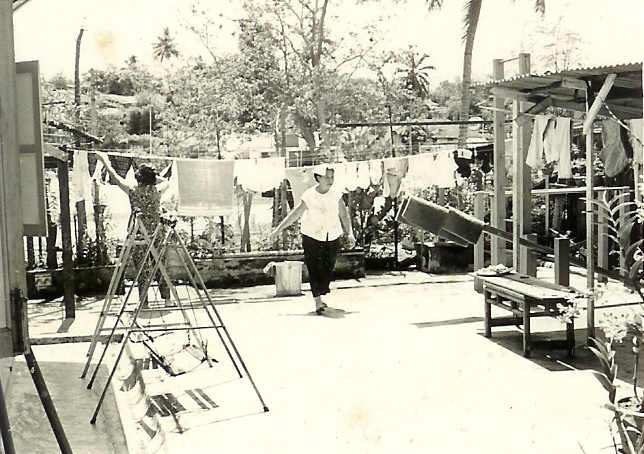 After the war, the family lived near Jalan Quek Keng Kang, within the Wong Ah Fook kampong and later shifted into Government quarters, first at Bukit Chagar and then at Jalan Waterworks or Jalan Sungai Chat, opposite English College. Ah Kong, who was working with the Malaysian Public Works Department and later with the Land Office of Johor Bahru, was transferred to Muar and when the family moved there, they grew their own vegetables to eat and for grandma to make kueh for sale to supplement their income. Grandma was only a homemaker but she certainly had a head for economics and took up the challenge to be a part-time property broker to earn extra income. When Ah Kong was transferred back to Johor Baru, the family moved into No.154 Jalan Ngee Heng and grandma managed the household in a regimental routine and in the fashion of large families, older sibling helped to look after the younger ones and took on a share of household chores. But grandma coordinated everyone and assigned tasks all around to keep the home spick and span. In those days when washing machines were still unheard of, she would hand-wash huge basins of clothes and I remember the many t-shirts as the family was big in sports and playing badminton was their daily exercise. In our school-going years, my sisters and I lived with them and we had our share of daily chores and I remember being responsible for folding mountains of crispy, sun-dried clothes that grandma collected neatly from the lines and taught us the technique to fold for a look-like-ironed effect. Grandma was the chief cook and had a weekly market visit to buy fresh food to keep the family nourished with delicious, well-balanced meals, always with slow-boiled soups in the Cantonese tradition. These are just a few of the myriad of experiences with grandma and they are now treasured memories because after a long and eventful life, she will be celebrating her 100th birthday this May. 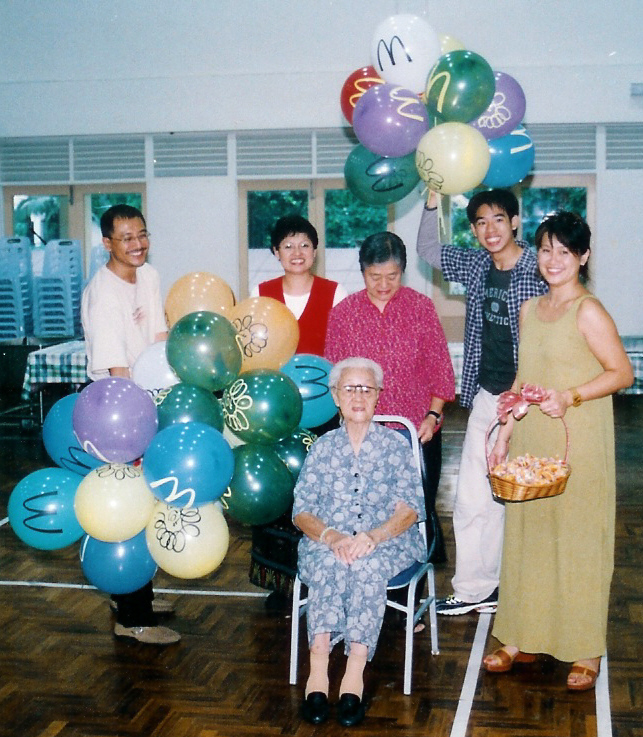 In 2002, we had a grand family celebration for her 90th birthday and a separate party with special children where materials were presented to start a resource centre in their school. I can still recall the excitement in our house in 2007 when a crew from RTM came to film grandma for a segment in a documentary on retired sports personalities. 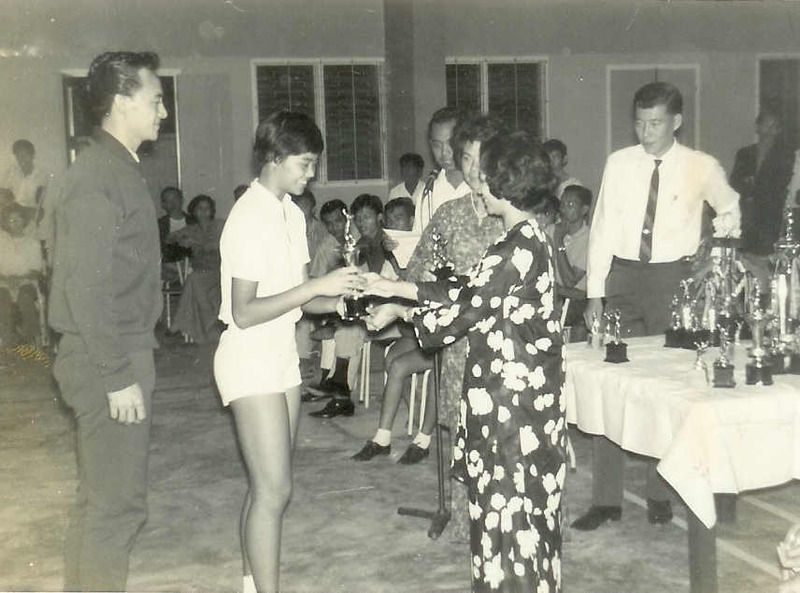 It was beautiful to see her children, former national badminton stars Dato Billy Ng and Sylvia Ng, acknowledging their mother for her role in their successful career in sports. As we celebrate exceptional women this March, we don’t have to look far because we have our own wonder woman in the family. Grandma may be frail in mind and body now but she still deserves top honours for her contribution to the family as sister, aunt, wife, mother, grandmother and great-grandmother. She may not be able to appreciate very much now so we give back by loving her, being there for her and making her comfortable in the twilight of her life. When Sennet and Agnes Tzinberg moved to Kuala Lumpur for work, they planned to stay for two years but as they discovered that this is a country where all cultures live and respect each other, their plans changed. 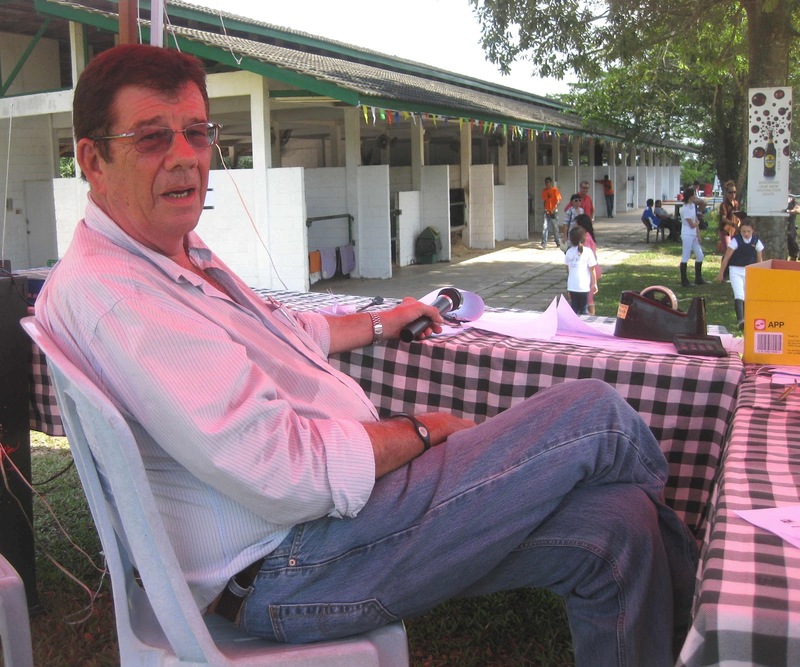 Their daughter Ellesse, who was born in Kuala Lumpur, has such a talent for riding that she represented Kuala Lumpur in many equestrian competitions. This shared passion for riding caused the family to look for a place to pursue this sport and they found the ideal spot in Sedenak, Johor. Twelve years ago, they designed and built a country manor complete with stables and started a charming resort they named, Riders Lodge. Over the years, the resort earned a reputation as a family oriented leisure getaway and their hallmarks of personalized service and great food in Agnes Café have kept regulars coming back. That’s because the café’s namesake, Agnes, personally oversees the kitchen and inspires the team to come up with healthier dishes that not only pleases her but are also a pride to serve guests. At Agnes Café, wooden tables covered in cotton gingham are neatly arranged on the patio with several tables in the comfortably shaded rear garden. 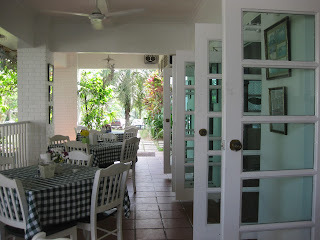 Fresh flowers on each table and sea-shell mobiles tinkling in the balmy breezes exudes a homey charm. In the morning, their Farmhouse Country breakfast of eggs, sausages, hashbrown, waffle, pancake, toast and fruit, served with freshly squeezed juice and a choice of coffee or tea, is a hearty meal to kick-start any day. Regulars agree that part of the fun in staying with the resort is discovering new and interesting items in the daily set menus at Agnes Café. 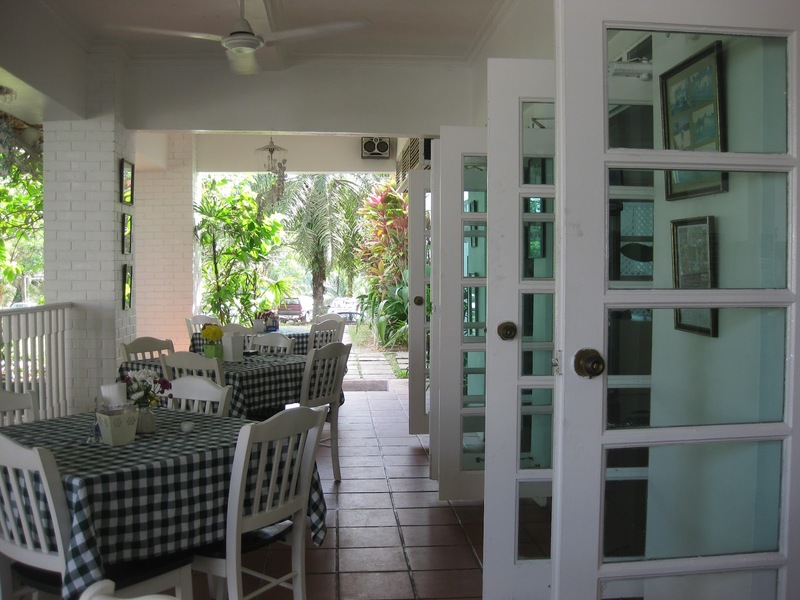 In fact, some diners will even take a leisurely drive there, just to enjoy a meal in the charming country ambience. The personal touch is a plus point here because if guests prefer no rice with their meals, a simple request is all that’s needed for the meal to be modified into a sandwich. 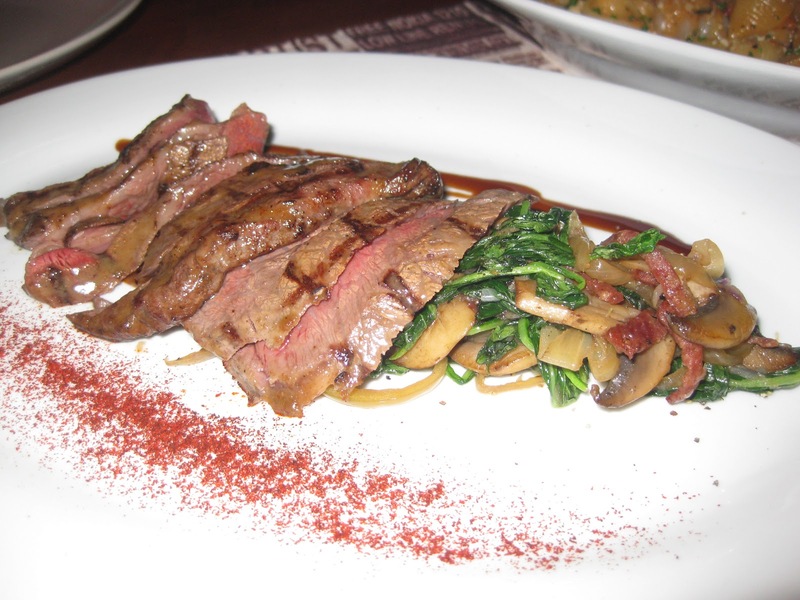 Vegetarians too, can confidently order from their menu, assured that the ingredients will be suitably changed and personalized to meet their dietary requirements. 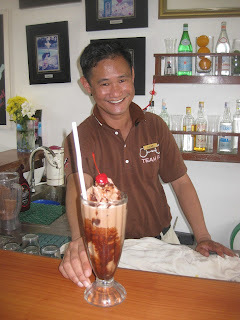 At any time of day, children of all ages will drop by at the little bar to order a fortifying glass of Milo Frappe. As its name suggests, this milky freeze is a chocolaty creation made with Milo, a nutritious beverage popular with the young and young-at-heart. 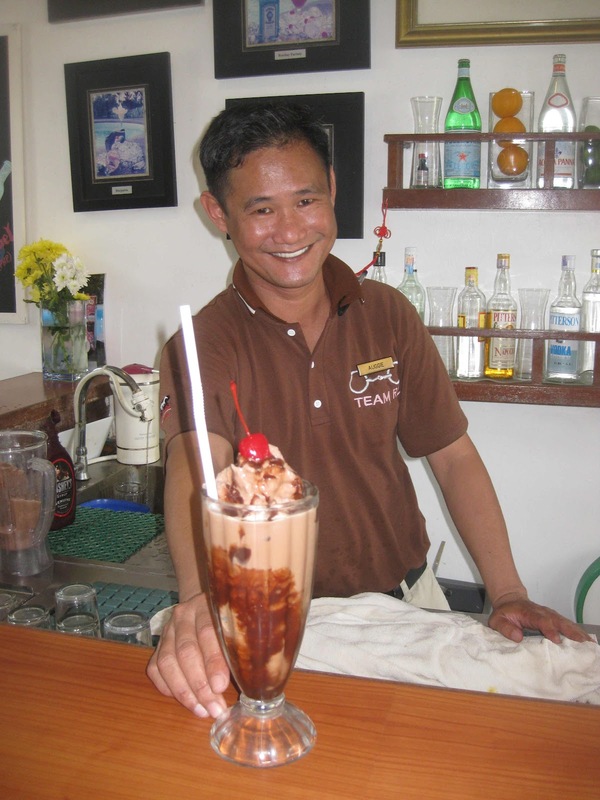 Auggie, one of the friendly associates in Riders Lodge, is adept at making this cool blend, served in a tall glass lined with chocolate sauce and serve it, topped with a generous dollop of cream and lashings of yummy chocolate sauce! “Our scones are made fresh every day for afternoon tea,” said Agnes, referring to the Devonshire Tea set served daily at the café. 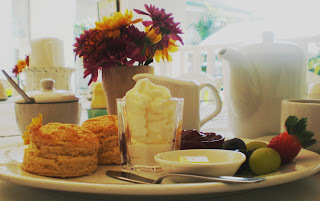 This exquisite set comes with two freshly-baked scones with a side of whipped fresh cream, butter and jam, and your choice of coffee or tea. Pick from a choice of Darjeeling, Earl Grey, Camomile, English or Jasmine teas, or savour fragrant Lavazza coffee with your warm scones. When Agnes asked a guest who happens to be from Devon, to comment about the scones, she promptly replied, “Good!” She also added that ‘cold hands’ are needed to make good scones. Agnes interpreted this theory along the lines of how some people with ‘green fingers’ can tend gardens more successfully and was glad that Agnes Café has someone with ‘cold hands’ to make their scones so beautifully! “I want to offer guests food they can’t be bothered to cook at home,” laughed the affable Agnes who encourages her kitchen team to try out unconventional recipes and create dishes unique to their cafe. 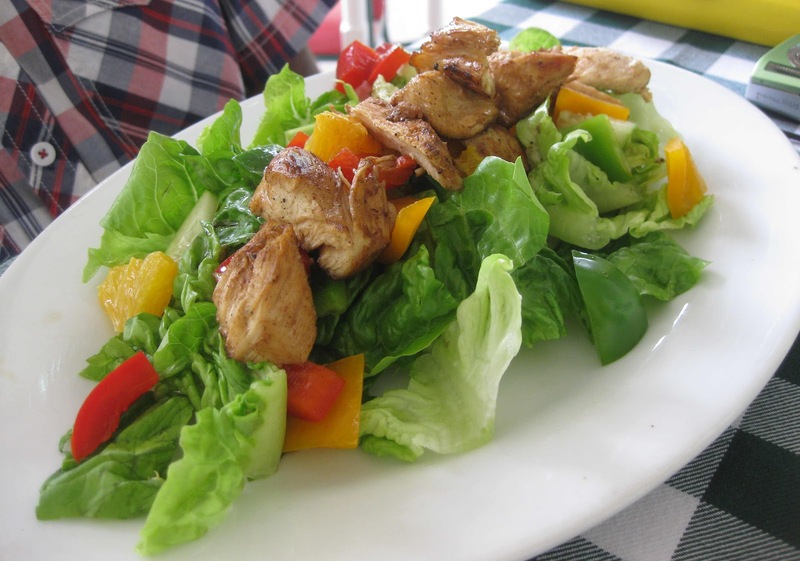 Through this exercise, a variety of salads and sandwiches as well as local fare are constantly being added into their Halal menu. 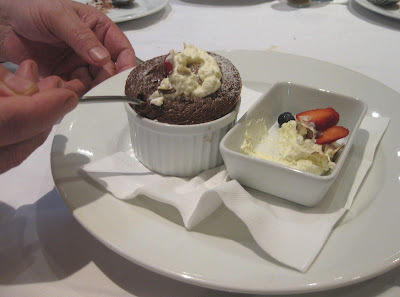 She said very often guests who particularly enjoyed a meal, will ask her for the recipe and she will gladly share it! To reach Riders Lodge by the North-South Highway, exit at Kulai toll from the South and from the North, exit at Sedenak toll, to join the old trunk road. Riders Lodge is located in Sedenak oil palm plantation, adjacent to the Legends Golf & Country Resort. In 2006 and 2007, Riders Lodge received the Excellence Award for Best Child-Friendly Resort from Expatriate Lifestyle Magazine. 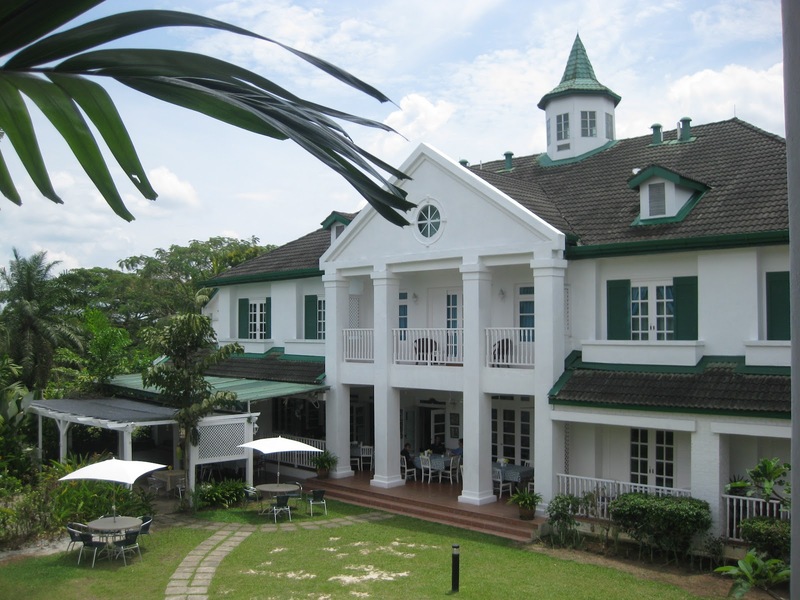 The Best of Malaysia Awards – Travel Awards – recognised Riders Lodge with an Excellence Award for the Best Family Holiday Resort in 2009. While queuing to pay for petrol at their convenience store counter, my eyes wandered – taking in the sight of promotion items like chocolate bars and isotonic drinks and the neatly arranged rows of sweets and snacks. 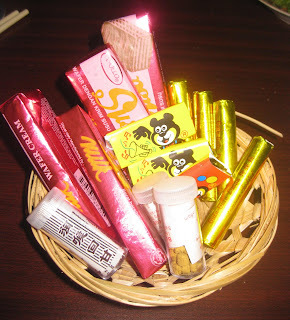 I thought of how these colourfully packaged treats are always strategically placed close to the pay-point to tempt customers to pick them up as impulse buys. They are just an arm’s reach away and the sheer variety available makes it easy for anyone to fall prey to the sweet temptation. My eyes swept across the attractive choices of mints, lozenges and chewing gum, passing each product without pause but my gaze landed and locked on the little golden tubes, propped up within see-through bulk packs! It occurred to me that I’m reading its brief description in English for the first time, because when I used to eat “Lemon Tablets,” I didn’t care about its name. The sight of this popular schooldays snack – now even labeled with barcodes – brought back a flood of fond memories as I was pleasantly surprised that they are still sold, even from modern convenience stores in petrol stations! These slim tubes made it easy to slip them inside my school uniform’s pinafore pocket and smuggle into my desk in class after recess. On hot and humid afternoons, when the teacher droned her way into the lesson, I will sneak one tiny lemon tablet from the desk and pop it into my mouth. The slowly melting tablet will emit a citrusy scent that not only tastes pleasant but will also perk up my sleepy senses. 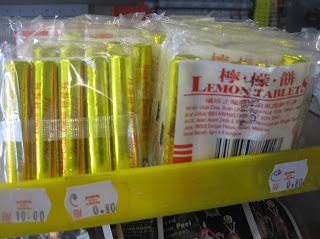 The description on the packaging said the Lemon Tablets contain Ubat Cina or Chinese herbs but it’s a perfect combination of sweet and sour flavours. When I used to commute to secondary school in non-aircon public buses, I employed its stay-awake effects especially on the long journey home to Masai after extra classes. Sometimes I forgot to remove it from my pocket and even though I later discovered the tablets looking crushed and damp in its golden foil wrapper, there was no reasons to let it go to waste so I would finish off the melted mess in one greedy go! Don't miss that tikam board on top right! 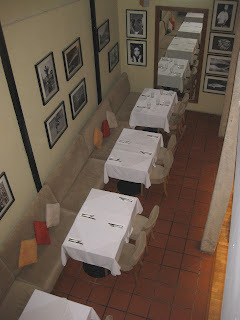 At a recent review of a bistro designed in a 60’s theme, I was charmed by the ambience but the most nostalgic spot must be at the entrance where simple wooden shelves were lined with biscuit tins and snack bottles that reminded me of the sundry shops next to my Ah Kong or grandfather’s house at Jalan Ngee Heng. 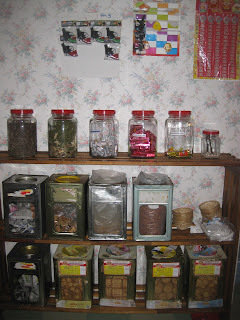 It’s reminiscent of the shops in bygone days with tins of Marie biscuits and Jacob’s cream crackers and snacks like chocolate wafers, chewing gum, the ubiquitous Lemon Tablets and packs of Mo Fa Kor preserved fruit bits. On the wall above there was a board stapled with cheap toys and even a tikam board – a game of chance to win prizes for a mere 5-sen if you were lucky! I was forbidden from playing the tikam game but I used to watch and when I saw how this lucky draw works, I realised this was one of the earliest ways for youngsters to enjoy the thrill of gambling. A friend, who admitted to being a regular tikam player, told me that he even had a favourite lucky spot on the tikam board and always picked this particular spot. But I don’t know if he always won a prize from picking this spot! While kiddy snacks, games and toys of yester-years deserve a place in the museum, it’s simply nostalgic to see them again today, not only as props in retro-fitted restaurants and cafes but some are still sold in convenience stores and some supermarkets. At Tan Hiok Nee Heritage Walk recently, I couldn’t resist joining the curious crowd to see the colourful display on a candy cart. They probably have never seen such an array of outdated snacks and junky toys, and were just discovering the interesting merchandise. One of the items was Haw Flakes – small, stout tubes tightly packed with 10-sen size red discs of sweet-sour flakes of preserved hawthorn fruit. I noticed they are now wrapped in gold foil instead of plain paper inside its classic red label. While swapping memories of the way we used to enjoy this snack, another friend confessed that he and his sister used to have fun pretending these flakes were taken as part of their Holy Communion rite! I also spotted the pastel-coloured, crispy discs of wafers, another favourite snack that I often used to buy from the school canteen. I can’t remember exactly but I think it was sold at 5-sen for two fragrant pink, green or yellow discs and it was worth every crunchy bite. I had two ways to enjoy it; either to quickly munch my way non-stop through the disc or to melt each and every little nibble on my tongue to make it last! 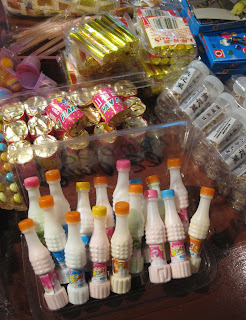 Snack makers of yester-years were considered very creative then when they produced sweets in powder form that were sold in little packs designed as plastic cola bottles. The sweet powder, available in several fruity flavours, should be enjoyed with a tiny straw as in drinking from the little cola bottle. But since I’m more into help-me-stay-awake-nibbles, this sweet was not on my favourite schooldays snack list. My sister, Pearly, was a great fan of Mo Fa Kor preserved fruit that were then sold in little rectangular paper sachets printed with purple Chinese characters and a portrait photo of its creator, Cheong Chee Ming, on the pack’s reverse side. After keeping the opened packet for a while, this snack often ended up looking damp in its crumpled wrapper but now this tasty nibble is available hygienically packed in plastic packets and tubes as well as in various forms like pastilles, candy and even in drinks. I think its pure nostalgia to enjoy these soothing products today and see that familiar label with its distinctive portrait of that gentleman looking back at you! 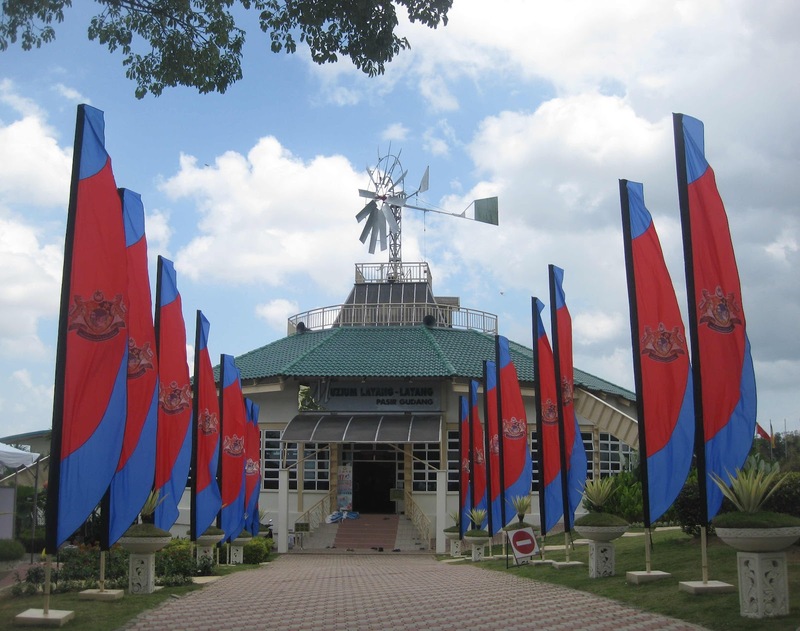 If you visit the Kite Museum in Pasir Gudang now, you will see new and interesting exhibits contributed by International kite-makers and competition winners of the recent 17th Pasir Gudang World Kite Festival. That’s because one of the criteria for first, second and third place winners in kite competitions is to give their winning kites to the museum for display. And to mark the museum’s 10th anniversary this year, many kite-makers specially presented their kites as gifts to the museum. Opened in 2002 during the 7th Pasir Gudang International Kite Festival (the previous name for the fest), this museum holds the prestigious position as Malaysia’s first Kite Museum, jointly managed by the Pasir gudang Municipal Council, Malaysia Kite Council and the Johor Kite Flyers Association. It is situated on Bukit Layang-Layang or Kite Hill, which is also the site for the annual International Kite Festivals. The field on Bukit Layang-Layang perfectly catches the seasonal monsoon winds and these kite fests have certainly put Pasir Gudang and Johor firmly on the map of the kite-flying fraternity. 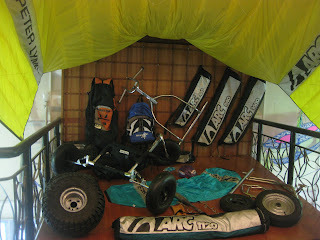 Wau is the word for kite in Northern Malaysia while Southern States in Malaysia say laying-layang for kites. In Malaysia, kite-flying is more than mere child’s play as this legendary sport demands great strength and commands much respect. It started as a post-harvest activity among paddy farmers and has evolved into an international sport today. 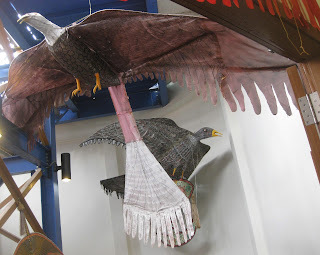 The exhibits displayed in three levels of the museum – basement, ground and first floor, aim to preserve and raise the prestige of the culture and heritage of kites in Malaysia. 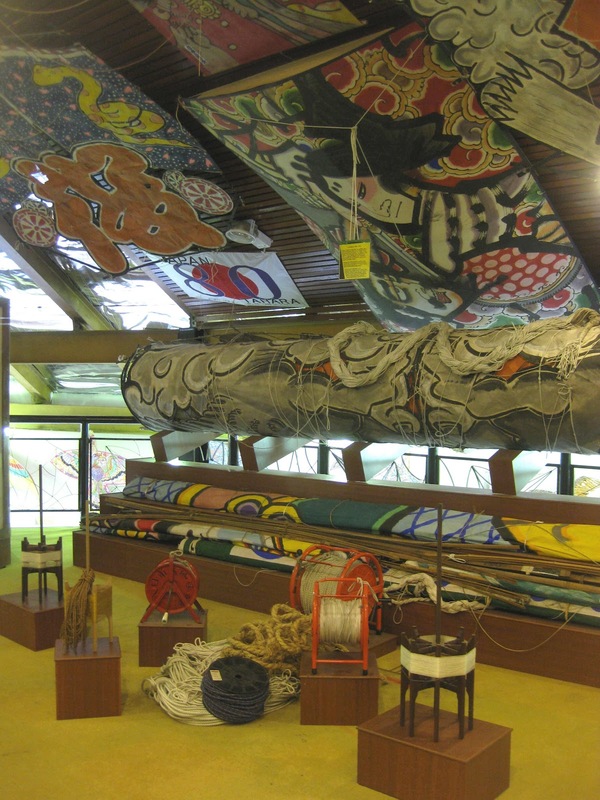 It showcases a collection of traditional kites as well as prize-winning kites from local and foreign competitors, an audio-visual presentation on kites, a record of f past Kite Festivals as well as a Kite-Making workshop for visitors to try their hand in kite-making. 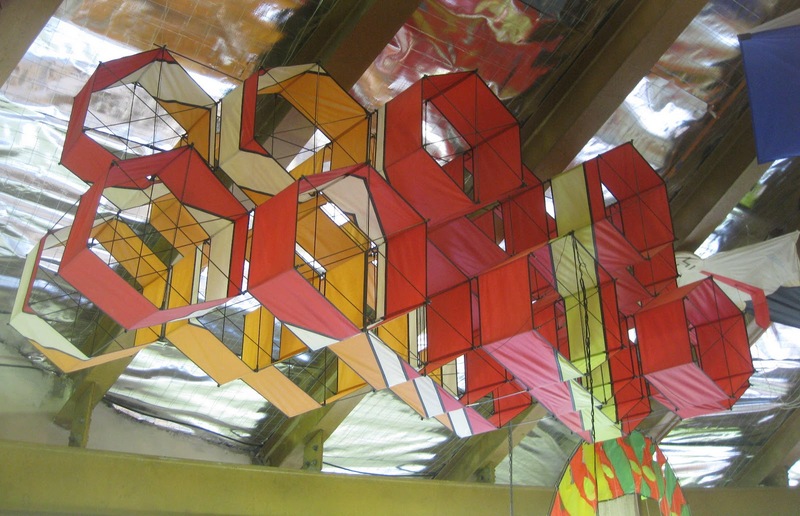 There’s also an exhibit donated by Peter Lynn from New Zealand, a world famous kite-maker, kite-flying innovator and Guinness Book Records holder for making the largest kite. Kite enthusiasts will appreciate some of the well researched information that includes interesting snippets of history and traditional techniques of kite-flying, long distance flying, flying by single string, the art of retrieving kites and kite-flying safety tips. Some traditional kites of the various Malay States you will see are examples of wau kucing, wau bulan and wau jala budi. If you take a closer look at the central structure of the museum, you will discover that the building also functions as a windmill. 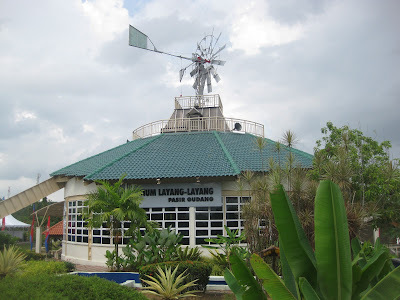 The instruments in the basement are linked to a weather vane at the top of the building that will rotate according to wind direction, measuring and providing essential information to kite-flyers at Bukit Layang-Layang! “As part of the anniversary celebration, we have allocated space in the museum for a year-long heritage exhibition,” said Anuar Abd Ghani, the Kite Museum Supervisor who’s also the Assistant Secretary of the Malaysia Kite Council and Johor Kite Flyers Association. Anuar, who is clearly keen and well-informed about kites, also helps with guiding visiting groups and leading in kite-making workshops for groups, usually of up to forty visitors. Each participant pays only RM2.00 to make their own kite and you can even ask him to show you how to fly your kite on Bukit Layang-Layang, if time and weather permits! “Tour packages covering three sites – the Kite Museum, Johorcraft Ceramics and the nearby Crocodile Sanctuary – are being developed for visitors to have a better experience of Pasir Gudang,” said Anuar, adding that the Pasir Gudang Municipal Council is working hard to present Pasir Gudang as more than just an industrial hub. The museum is open Monday, Thursday and Friday from 9.30am to 5.00pm with Friday prayer break from 12.30pm to 2.45pm, Tuesday, Wednesday and weekends from 8.00am to 5.00pm with an hour’s daily lunch break. 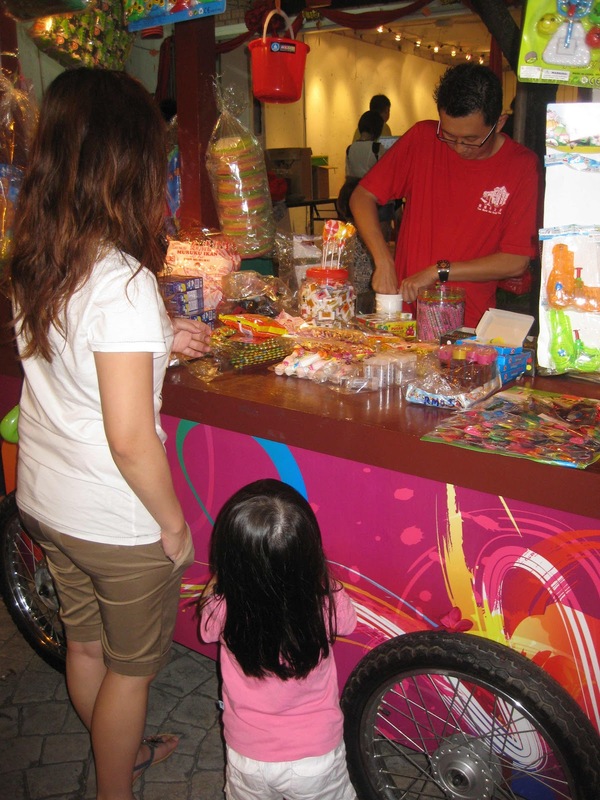 Entrance fee for adults is RM2.00 while RM1.00 is charged for children between 7 and 12 years old. For enquiries and group visits contact Tel: 07 – 2513720/21/22 or Fax: 07 – 2515260. The building is also a windmill - check-out the weather vane! He’s a German who has established a reputation for great Italian cuisine and is putting his culinary experience into creating a menu of Mediterranean food in Sweetwater Restaurant – a name that’s reminiscent of Texas in the United States. Born in Dusseldorf, Germany, Hans Durst started his career in Castate Durst, their family restaurant, before joining a French restaurant as an apprentice at the tender age of 13. He wanted to join a cruise ship’s kitchen to travel the world but was denied passage because he was just too young. 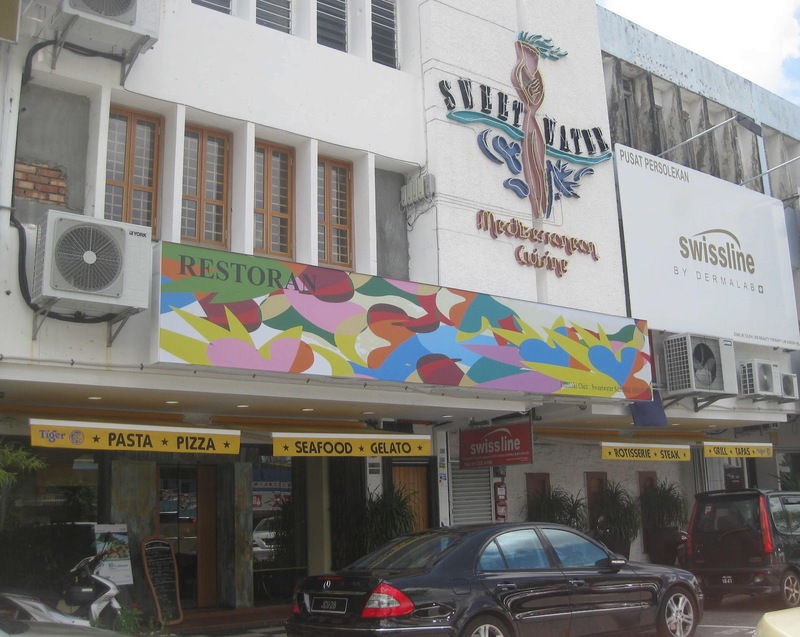 “My dream was to travel,” confessed Chef Hans, Chef Owner of Sweetwater Restaurant and Gianni’s Trattoria in Johor Baru. From an early age, he aspired to travel the world doing what he loved best – cooking. After his family migrated to the United States, he had opportunities to develop his culinary skills and started a career with the Grand Hyatt Chicago before being transferred to the Grand Hyatt Singapore and later had job postings at Hyatt properties in Kuwait and Melbourne. Not only did his dreams about travelling come true but he was also exposed to new types of food and various styles of cooking in Italian, Spanish, North African, Moroccan and Lebanese cuisine. His experience in working alongside local chefs around the world gave him invaluable knowledge into the secrets of serving up authentic dishes. Now Chef Hans is putting his own interpretation into creating something special for discerning palates in Johor Baru. After his hotel career, Chef Hans opened his first Sweetwater Restaurant in Melbourne in 1988 and fondly recalls that their lovely logo won an award for it's unique design. 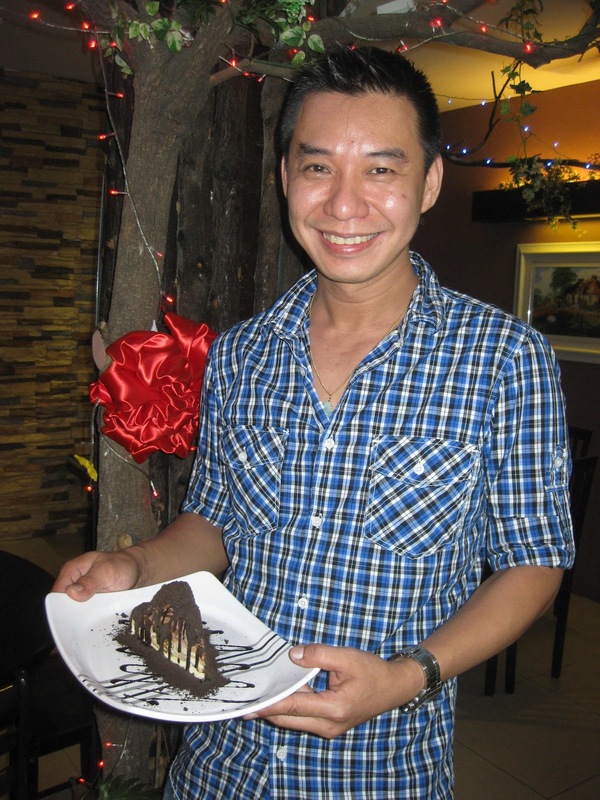 After running the restaurant for eight years, an irresistible opportunity in Kuala Lumpur beckoned and he closed the business and moved to Malaysia and later, to Johor Baru where he started his own restaurant. 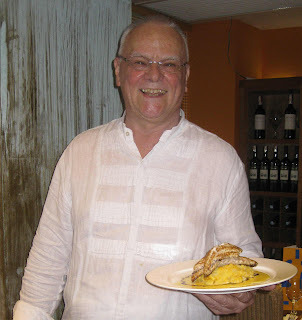 In June 2011 when he opened his second restaurant to serve Mediterranean cuisine, it was simple for him to pick a name – Sweetwater! 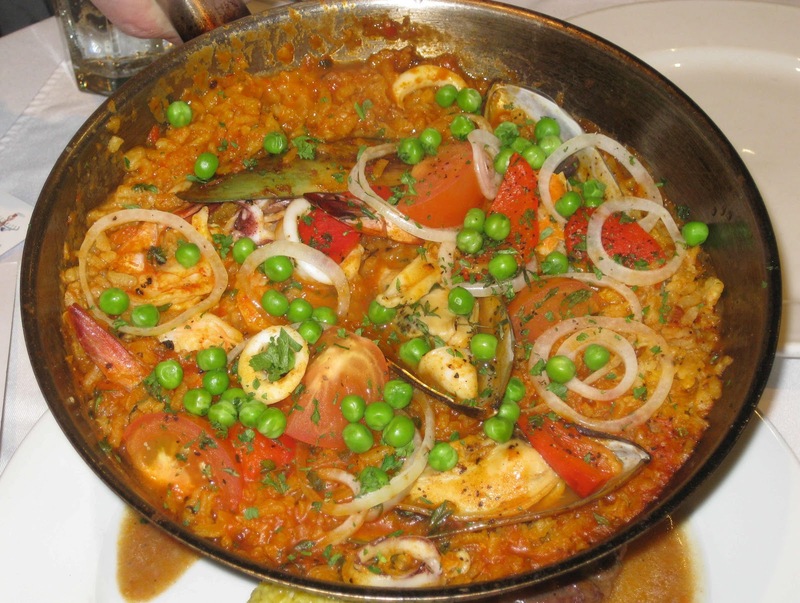 One of Sweetwater’s signature dishes is the hearty Spanish Paella Valencia prepared with assorted seafood, tender chicken cubes simmered in plump and juicy grains of Bomba rice. Flavoured with generous sprinkles of smoked paprika, the rich broth from the marinated meats is fully absorbed into this rice, turning each grain firm and tasty for the perfect taste of Paella. “People want healthier food now,” said Chef Hans, who’s single-minded about serving the freshest ingredients in a healthier menu but without compromising on taste. In a quick demo, Chef Hans used only the freshest fillets of Red Snapper that are pan-seared on a scorching skillet, and the pan covered and removed from the flame to seal in all its natural flavours. Then a sauce created from a tangy blend of dark balsamic reduction and white balsamic cream, drizzled on the fish resting on a bed of mash, gave a delightful zing to the palate without being too overwhelming! 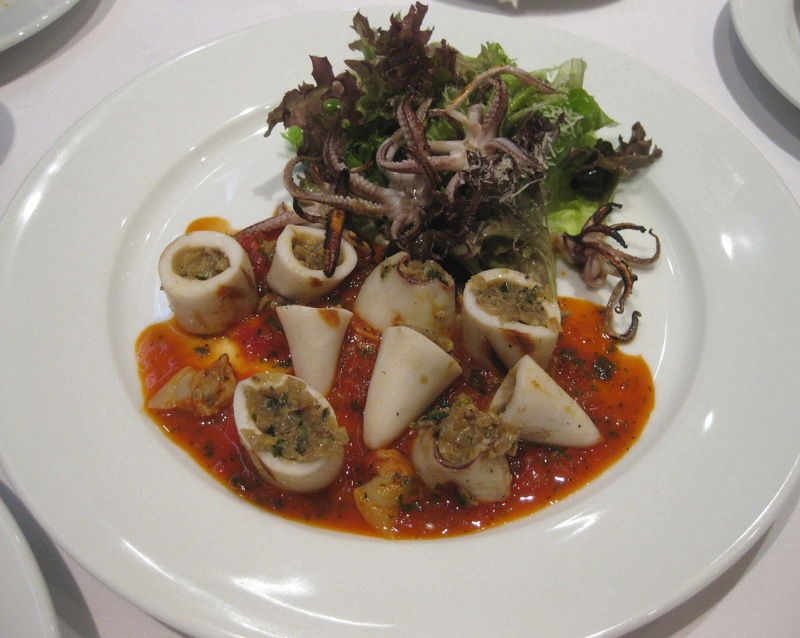 For Starters, he recommends the popular Grilled Scampi with a side of Lemon Butter and Calamari stuffed with Zuchinni and Clam sauce that are great for sharing. Meat-lovers will enjoy the tender Veal Shank served with a side of Bomba rice or tender Moroccan Chicken on a bed of Bomba Rice, rich with raisins and olives and fragrant with cardamom and cumin flavours. 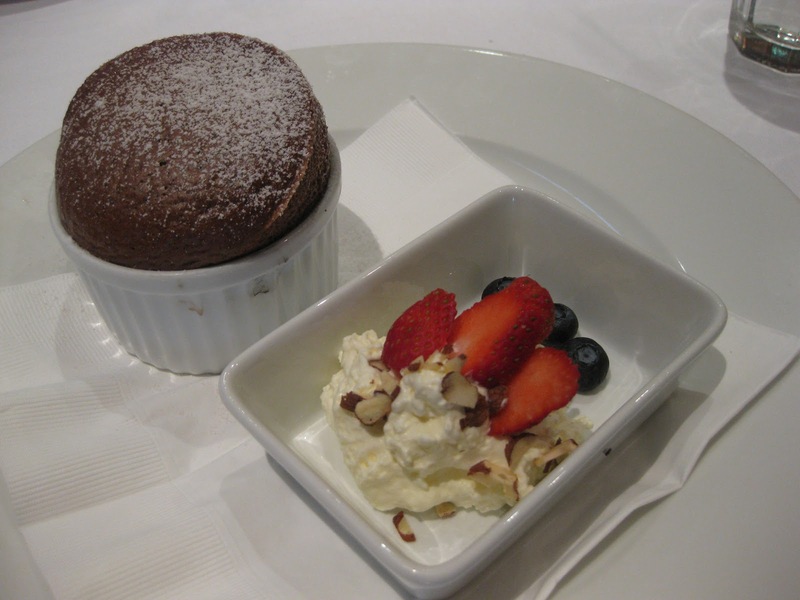 For dessert, Chocolate Truffle Cake with his own ice-cream creation will impress anyone who’s not yet chocolate crazy while the warm Chocolate Souffle with fresh cream, strawberry and crunchy almond slices is simply heavenly! “I don’t want to steal my own customers!” laughed Chef Hans, “That’s why much thought has gone into designing the ambience and cuisine for an entirely different experience here,” he added. He’s also worked hard in developing ways to prepare authentic dishes in the shortest possible time so that customers don’t wait too long for freshly cooked orders. In fact, every order of mashed potatoes is prepared a la minute to ensure that taste and texture can be experienced in every bite. The kitchen and wash area are in full view of diners who can watch the chefs at work and see how clean and well-kept the place is. 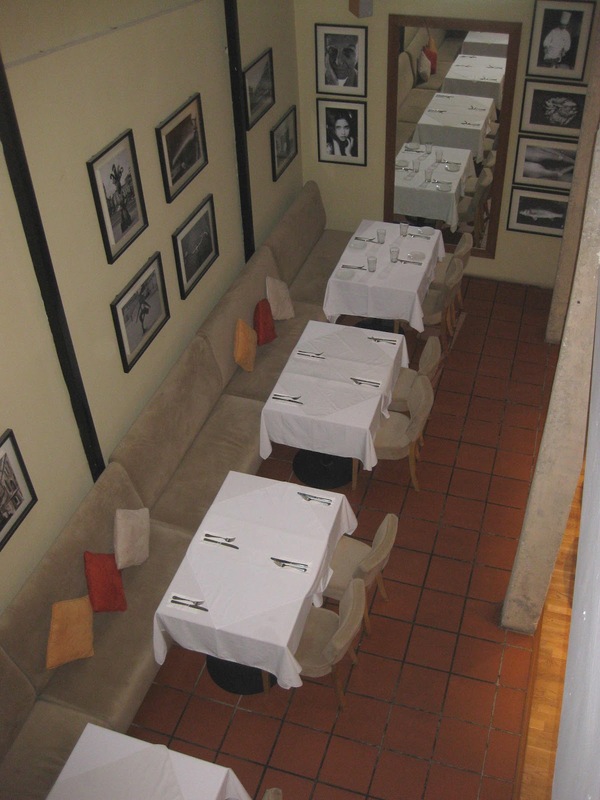 Throughout the airy and elegant restaurant, the walls are adorned with large Black & White photos of scenery and portraits. 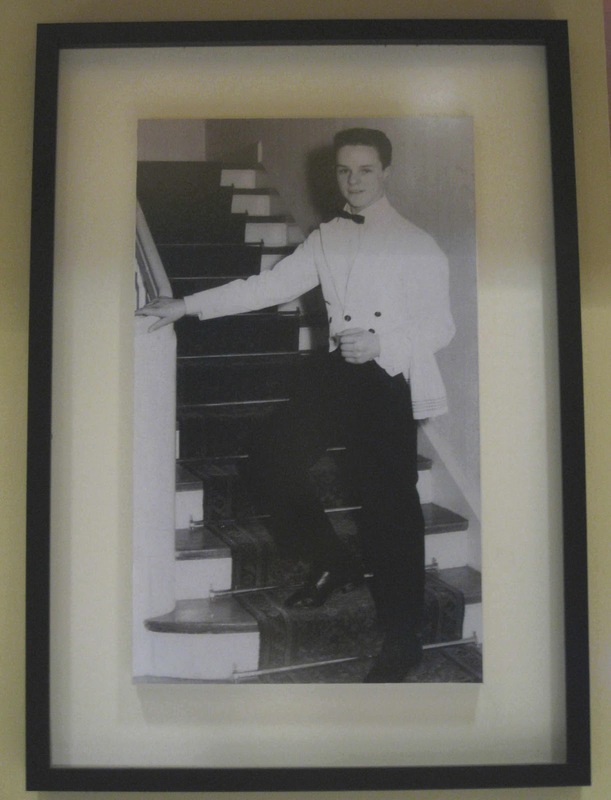 Take a closer look because among them, there’s a photo of Chef Hans as a 13-year old apprentice, posing on the steps of Kaiser Frederick Hall in Dusseldorf and another handsome shot of him while he was Executive Chef with the Grand Hyatt Singapore! the delectable fragrance once the cover is lifted off this warm dish! and let it slowly melt in your mouth... mmm... heavenly! That morning of 11 March 2011, I did not know that the live-launching of My Johor Stories will significantly share the same date as the horrific earthquake and tsunami that devastated the north-eastern coast of Japan. Looking back to a year ago I’m sure my blog launch was not the only event that shares that dubious date as the dreadful double catastrophe that hit Japan. As far as I know, that morning also marked the grand retirement event for Chong Lian How from her role as headmistress in her alma mater, SMK Sultan Ibrahim in Kulai and the honouring of their first headmaster Michael Parry as Bapa SSI. As most first years go, it has been a very eventful and interesting experience for me – learning the ropes in managing my blog and updating it regularly. I took my blog sifu’s advice to write more pieces that are not published in the print media and it’s heart-warming to see readers responding positively to my musings, woes and gripes. Sifu also showed me how to navigate the back of my blog and it never ceases to amaze me that my readers are from a worldwide audience, even from Russia and Egypt! Another exciting development is how readers abroad, who once lived in Johor Baru, are connecting with my Johor stories! A reader in the UK, who used to live opposite my Ah Kong or grandfather’s house in Jalan Ngee Heng, remembers our house with the badminton court and another reader, a former Convent Johor Baru student now living in Canada asked to get in touch with Dorothy Pereira, after reading about her on my blog. A university undergraduate in KL who read my Chinese New Year traditions stories, asked me for an interview because she needed help with her project on Chinese cultural practices. While I’m flattered by her enthusiasm, I had to decline because I’m not an authority on this topic as my experience was limited to the growing-up years with my grandma. So I did the next best thing – put her in touch with my friends in the Johor Baru Tiong Hua Association – who are well equipped to help her complete her project! 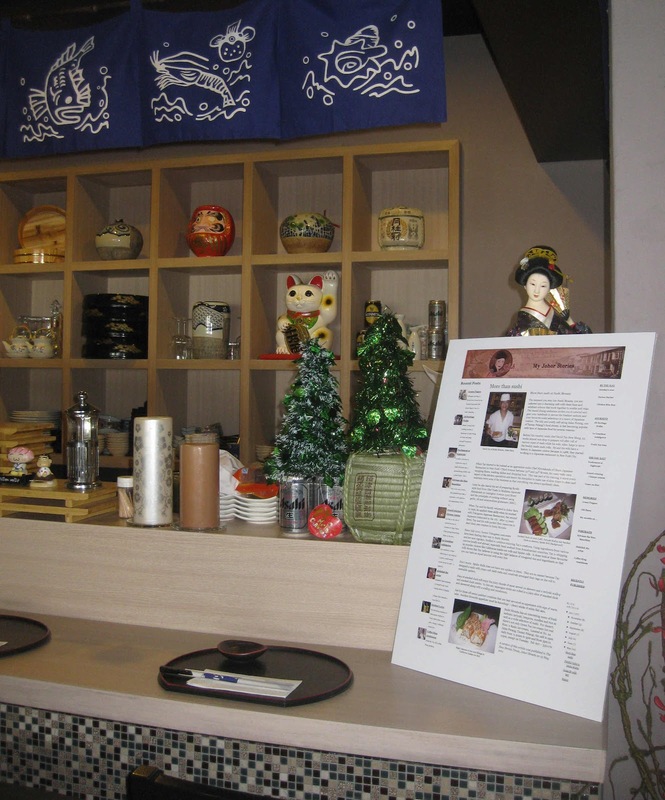 I often see my articles framed or laminated by merchants for display in their restaurants, stalls and cafés. 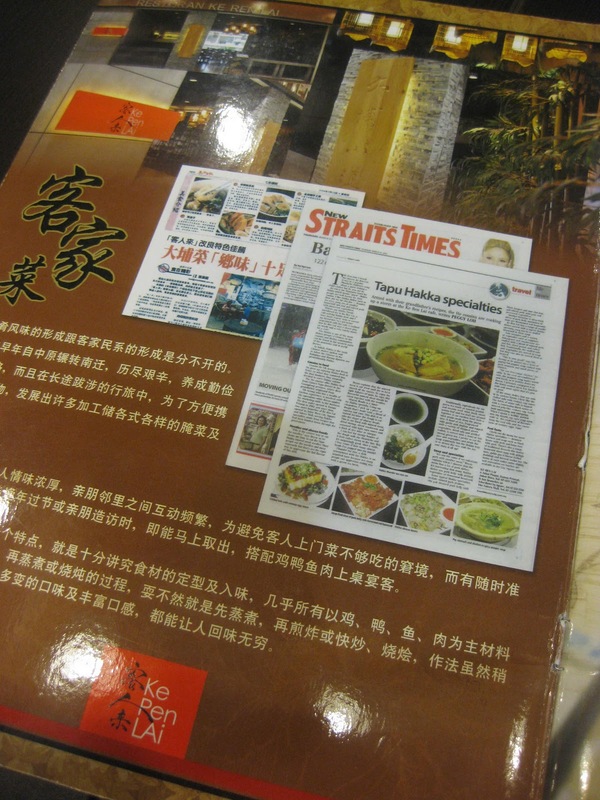 Last November I was pleasantly surprised to see that not only was my article displayed in Ke Ren Lai [Hakka restaurant] at Sutera Mall, it was also printed in their menu’s inside front cover design! I’m amused that IT savvy merchants are getting more creative now. That’s because I recently discovered that Sushi Monzta, a Japanese restaurant has printed out my entire blog page, compete with my distinctive banner [ahem!] and my review of their restaurant and blown it up into a poster for display on their sushi counter! 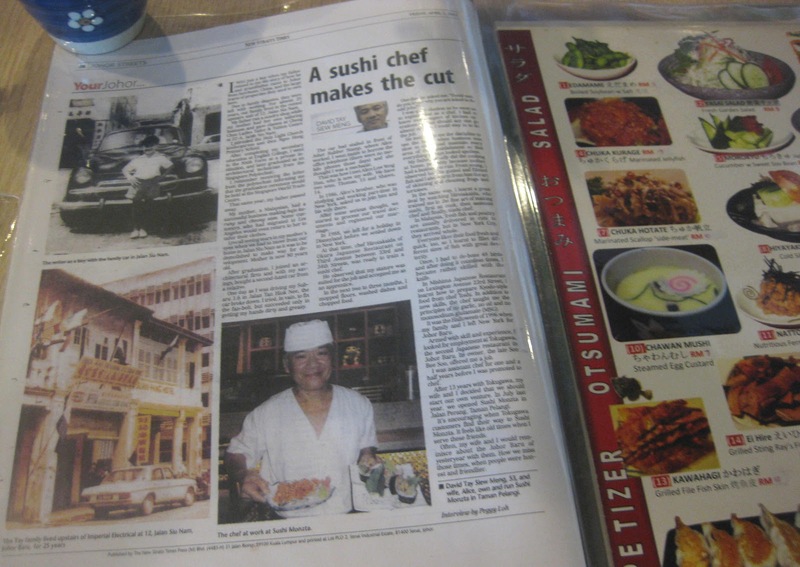 This same blog page with the restaurant review and a separate interview with the proprietor, David Tay, were also the first two pages of their menu. I’m told that diners not only find this very appropriate reading material while waiting for their orders to be served, they also got to know David better from reading about him. Johoreans who recognize his old photos also enjoy reminiscing with him about the Johor they used to know! Recently I met Sennet Tzinberg again at the Riders Lodge for their annual riding competition. He’s the American I privately call the Lord of the Manor, who runs the resort with the help of his Filipina wife, Agnes and an able team. It was a sunny afternoon and I was soaked in perspiration while observing the show jumping contestants in action. While waiting for the next contest to start, Sennet, who probably noticed that I was melting, took pity on me and kindly invited me to sit under his shady canopy. My interview with David Tay on inside cover of menu! If you’ve met Sennet, you will know that he’s a gem of a gentleman but you have to figure out when he’s serious or when he’s being sarcastic. I was ready to cool my heels and enjoy a light-hearted banter with him but I was deeply moved when he gave me a few honest compliments about my blog. I thought he was just jazzing me up but I was absolutely blown away by the high compliment that he has added a link to my blog, the only one next to his daughter’s blog, on the Riders Lodge homepage! Wow! Just a few days ago in early March, I received a comment from Johor Kaki who said, “Dear Peggy, I love your articles. I have added a link to this article to my own blog post on Tin & Tin [Cathay Beef Noodles]. I believe readers will appreciate reading your article as much as I did. 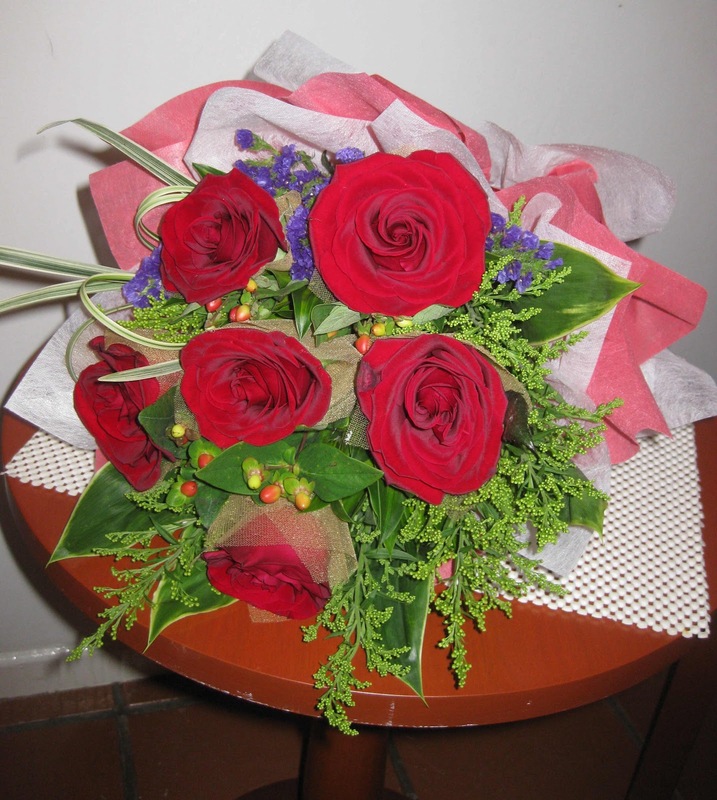 I have also added your site to my blogroll. Thank you so much.” So now my blog is listed in Johor Kaki’s “Favourite Blogs in Johor.” Yay! Another reader, Ken Neoh, said, “Your blog is very engaging and I am totally absorbed into your every single posting.” Whew! This is certainly a lot to live up to but it just spurs me on to keep doing what I enjoy most – writing about food, people and places of interest – in Johor and beyond! I’m inspired by everyday happenings and human interactions so do drop me a line. Who knows? 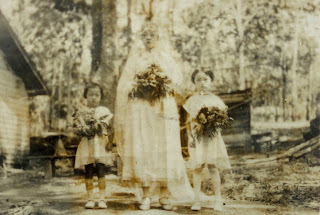 It may just trigger off another idea for a new post for My Johor Stories! Happy Reading! Chirpy little welcome from Chef Ozzy! 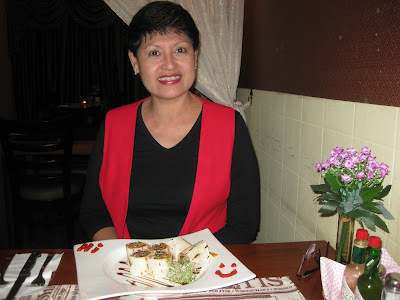 I must say “Thanks” to my friend, Batcy, who introduced me to the delightful menu at Grill Bar and since my first taste, I’ve been back several times for lunch and dinner. 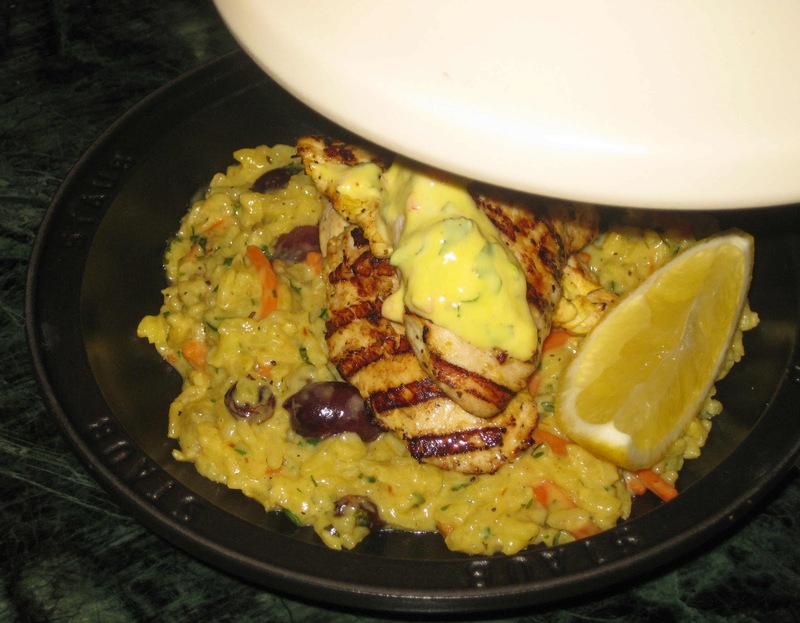 My Grilled Pleasures story was published almost exactly a year ago – seems like a long time – but the best news is that I’m still hearing positive comments about their food and service from satisfied customers. Time may have passed but what’s important is the dining experience and menu dished out by Chef Ozzy remains consistently good. The first phone call I received to wish me “Happy Valentine’s Day” this year was from Chef Ozzy, who was also excited about the day’s celebration at Grill Bar. He told me the response to his Valentine’s Day menu was so good that they had to close for lunch because the kitchen team needed to focus on the preparation for the evening’s special menu! I could hear and feel his passion and commitment to make the celebration extra special for his customers and wished him well for that day and everyday ahead! The following weekend my friends, Poh Choo and Catherine, were visiting from Kuala Lumpur and when we discussed dinner plans, we decided on the Grill Bar. It was some time since I last dined there and it was good to be warmly welcomed back by name. 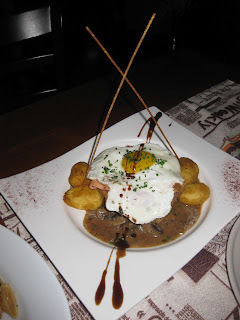 After being introduced to the day’s specials from the chalk-board, we picked our choices – as always, to share because we wanted to taste a wider variety of food. With the usual weekend crowd, the kitchen was kept busy but the friendly hostess came back to our table to send greetings from Chef Ozzy who was unable to come out to say “Hello” personally. My friends were pleasantly surprised by the courtesy and warm reception but it did not prepare them for what Chef Ozzy did next. When our Starter dish was served, it took us a moment to spot the decoration on the edges of the platter, where Chef Ozzy piped the word, “Hi” on one side and a chirpy little smiley face on the opposite side! “Let me take a picture of you!” Poh Choo offered, her hand already reaching out for my camera probably because she wanted me to capture this charming little memento. It was a simple gesture but it certainly warmed my heart and set the tone for a most pleasant evening of dining on good food and catching up with dear friends. 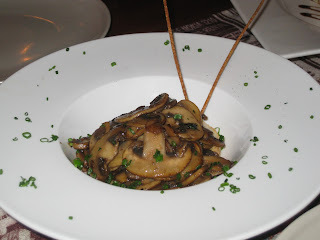 There was much to chit-chat about since we last met six months ago and as the food was served, shared and the plates polished off, I realized that the service was attentive but yet unobtrusive. spinach and mushrooms - yum! By the time we decided to call it a night, most of the customers had already left and Chef Ozzy finally had a break from his kitchen frenzy to be introduced to my friends. He may have been flushed from the heat in the kitchen but I guess he may also have blushed to the tips of his ears as Poh Choo and Catherine gave him their compliments for the tasty and satisfying meal. I believe that credit should be given where it’s due so keep up the good work, Chef Ozzy!